I have been using this phone for 2 months now not faced any major problems till now.Its processor feels slow sometimes when doing many multiple tasks at once.Front camera is impressive loved it.Back camera is not the best in this range but its its also not the worst.I like its massive battery it easily lasts 1.5 days. Xiaomi note 6 pro is a beast. I was using note 4 pro earlier and when this phone launched I thought it was high time and i should upgrade my phone. Firstly i was lucky enough to get this phone on the first flash sale and i have loved this phone since the day it has been delivered to me. This phone just seems so smooth to me , then the battery backup on this phone is insane it can last upto 2 days depending on the usage, it has a beautiful display with vivid colour and the cameras on both the side are decent enough to click hood pictures. Xiaomi note 6 pro is a great device but it doesn’t have any such major improvements than its predecessor. It has a great performance, the front dual camera makes sure you click some awesome selfies and the battery life is also very decent, it has a hybrid slot which makes you choose between either having an extra sim or extra memory space. A very good smartphone with a sleek finish, excellent camera, and good battery life. Performance could be a bit better, but a true bargain at this price nonetheless. Xiaomi’s redimi series are supposed to be mid range flagships but redimi 6 pro isn’t good enough. It just doesn’t have anything new , the display is almost the same as last year, the camera quality is also average as last year even the battery life also isn’t that good so all it has a minor processor jump which isn’t good enough so if you are looking for a new device then go for note 5 pro and save some money. There is no doubt that redmi has owned so much customers in so less time beacuse of Its high performance and affordable price system. The new redmi note 6 pro is way too good as it offers too much in too less. It has dual rare as well as dual front camera. Apart from it its too classy, it has a 6.2 inches display you can stream videos in high resolution. Its a power house as its battery lasts too longer that i don&apos;t even need a power bank.I liked it too much. 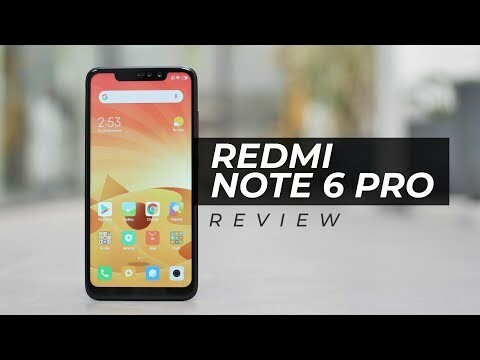 9 Pricebaba users have written their experience with Xiaomi Redmi Note 6 Pro. If you own Xiaomi Redmi Note 6 Pro, please do leave your feedback too. Lowest price of Xiaomi Redmi Note 6 Pro price in India starts at Rs. 11,999 Xiaomi Redmi Note 6 Pro is available on Flipkart at Rs. 11,999 and on Amazon at Rs. 12,719. Prices updated on 26th April 2019. In terms of aesthetics, the Redmi Note 6 Pro is similar to its predecessor. On the front, there is a notch on the top, and the rear side houses a vertical dual camera setup and a fingerprint sensor. The device ships in four color options i.e. Black, Blue, Red and Rose Gold. On the display front, the Note 6 Pro rocks a large 6.26-inch display bearing a FHD+ resolution. It is coated with a Corning Gorilla Glass for durability. The Redmi Note 6 Pro is equipped with dual camera setup on the front and the back. On the flip side, there are 12MP+5MP sensors assisted by LED flash. Upfront, there is a 20MP primary camera with 2MP depth sensor. The camera features EIS and PDAF system that help in clicking better pictures even in low light. Various software features include AF phase detection, AI, Bokeh effect, Exposure compensation and HDR. At the heart of the device is a Snapdragon 636 octa-core chipset. It packs 4GB RAM and Adreno 509 GPU onboard. Storage-wise, this smartphone offers 64GB internal memory which can be expanded up to 128GB via microSD card. Out of the box, the Note 6 Pro runs on Android 8.1 Oreo OS with Xiaomi’s custom MIUI on the top. A 4,000 mAh battery fitted inside keeps the device running. It is a dual SIM smartphone and supports nano SIM cards. Connectivity options include 4G LTE, 3G, 2G, WiFi, & Bluetooth.